Why come to Father's Heart? The rain also covers it with pools. They go from strength to strength; Each one appears before God in Zion. O Lord God of hosts, hear my prayer; Give ear, O God of Jacob! 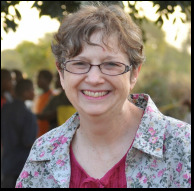 Karen Page leads a team that ministers healing to life's hurts as well as to healing physical needs. Please email Karen Page to set an appointment for this ministry.